Hybrid fabrics are fabrics that combine thread of different materials, thus embracing the best of different materials. Carbon / kevlar fabrics can be mentioned as the most common. This fabric is especially popular in auto sports circles. 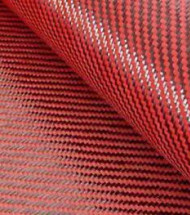 Carbon / kevlar fabrics differ in their durability, hardness and light weight. Hybrid fabric diolen twill 2/2 gives your product hit resistance properties as well as lightweight structural part and good look.This material comes 1200mm widePrice is shown for 1m2.. Hybrid fabric in combination Carbon and Kevlar 50/50 twill. Gives your product hit resistance properties as well as lightweight structural part and good look.Thismaterial comes 1000mm widePrice is shown for 1m2..
Vectran is five times stronger than steel and ten times stronger than aluminum. Using liquid crystal polymer (LCP) technology, Vectran has excellent fiber tensile properties as well as a high strength modulus. Vectran has the following additional characteristics:Excellent creep resistanceAbrasi..